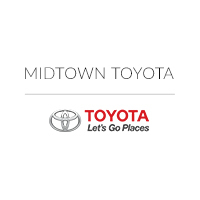 If you’re considering a Toyota car in Chicago, IL find out how our Toyota cars here at Midtown Toyota compare to other makes out there. We bet you will be blown away by the new Toyota cars we currently have in stock like the, Toyota Corolla, Toyota RAV 4, and more. Once you’ve had time to research our new Toyota cars online, stop by our Toyota dealer near Des Plaines, IL for a test drive. You can also contact Midtown Toyota online for any questions you may have! We’re glad you stopped by to check out our Toyota cars today and we hope to hear from you soon!